DRmagic2017 I've forgot about Fleshbag Marauder (although he is being used in my paper deck), will add him soon. Possessed Skaab has one very very big disadvantage - I can't recast him more than one time. 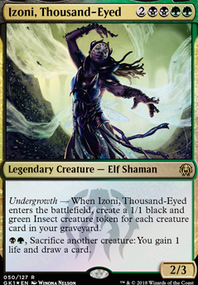 Never thought about Jace, Unraveler of Secrets or any other, but it seems to be a good option. I think I can try this. Vengeful Pharaoh is too weak and heavy, I think, because the damage has to be dealt before he triggers. Hello! Nice deck. What do you think about Fleshbag Marauder ? You may cast him again and again from your graveyard. 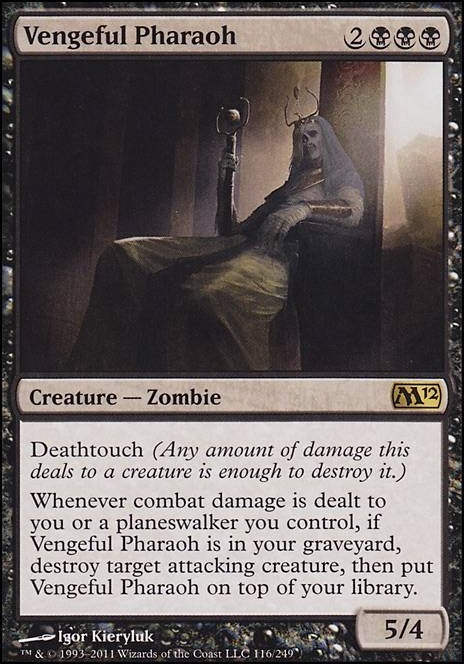 I also use Vengeful Pharaoh in my Zombie builds but you need Entomb to put him into your graveyard as soon as possible. Possessed Skaab - Dralnu, Lich Lord 's younger brother, strongly recommended. 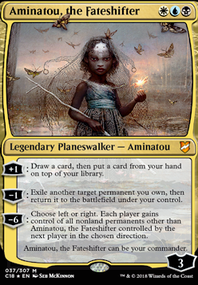 And planeswalkers. I tested Jace, Unraveler of Secrets in several multi-player matches and he looked impressive: card draw + control. 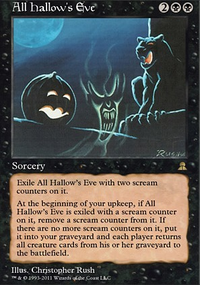 I really like this card. Good luck in brewing! 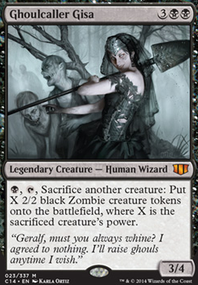 The problem is that the current meta involves Eidolon of the Great Revel or Phyrexian Obliterator, hence the 4CMC sorceries while having outright removal and not creature damage, I can use it whenever I want, and I don't need to sacrifice permanents. However, just like you said I need early game removal, so I had a compromise via Sun Droplet and Ratchet Bomb. 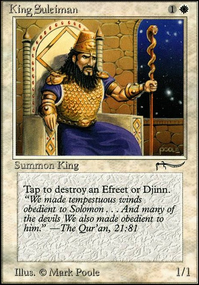 My current problem right now is my other old form of removal- using dredge via Golgari Thug/Stinkweed Imp and Vengeful Pharaoh no longer works as well, since I can't mill myself, but again, like you said I need an evasive creature for Dowsing Dagger Flip, therefore Persistent Nightmare comes close.